We recently heard some details about the new electric Aston Martin RapidE that will launch in 2017 and now Aston Martin have unveiled a concept version of the car. 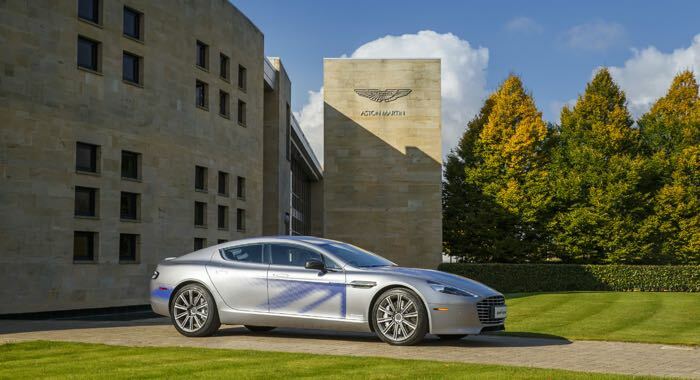 The electric Aston Martin RapidE will apparently come with around 550 horsepower, although Aston are also planning a faster model with around 1000 horsepower. You can find out more details about the new Aston Martin RapidE at the link below, the car is expected to launch in 2017.